Condoms as hair braids? A new car for $70? 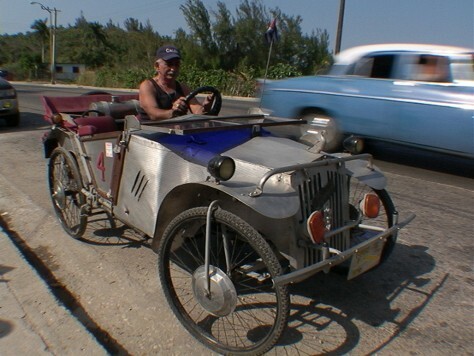 Juan Martinez Rangel drives his prized possession, “La Niña Bonita,” a car assembled over a 20-year period with a pile of scrap metal and junkyard parts.